The Man-made River Project (MRP) is one of the largest engineering projects of this century. Our company has been involved in the Engineering and Project Management of this mega project since its inceptition. The Man-made River Project has been designed and implmented in four systems. Each system represents a separate major project. 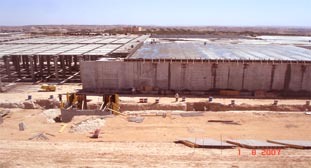 The Sarir-Sirt/Tazerbo-Benghazi System,Phase I of the Man-made River Project (MRP), is designed to supply 2 million cubic metres of water per day by gravity flow from wellfields at Sarir and Tazerbo in the south of Libya to the cities on the coast. The water flows via two direct buried conveyance pipelines fed from wellfields at Sarir and Tazerbo. The overall length of the conveyance pipelines is approximately 1,600 km comprised of 4 metre diameter pre-stressed concrete cylinder pipe (PCCP). The length of each pipe is 7.5 metres and the weight approximately 86 tons per pipe. very large embankment reservoirs of total capacity of 50 million cubic meters. a 90MW gas turbine power station and permanent control and communication facilities. Corrosion protection measures were provided throughout the Project. There are a total of 234 deep tube water supply wells. Two large PCCP production plants capable of producing 220 pipes per day were constructed to meet the pipe manufacturing needs of this system and the other systems of the MRP. The Hasouna-Jeffara System, Phase II of the Man-made River Project (MMRP), is designed to supply 2.5 million cubic metres of water per day from wellfields at Jabal Hasouna to the Jeffara Plain and to Tripoli on the coast. The water flows through pre-stressed concrete cylinder pipe of 4 metre diameter of approximately 86 tons weight per pipe under pressures reaching to 26 bar. The overall length of the conveyance pipelines is approximately 1,275 km. The total number of wells is 476 deep tube water supply wells. In addition to the conveyance pipeline referred to above the System also includes, pumps and flow control stations and Operations Support and Maintenance (OS&M) facilities at East Jabal Hasouna, North East Jabal Hasouna, Ash Shwayrif and Assdada and a Headquarters Building with a Central Control Room and a further OS&M at Bin Gashir near Tripoli. 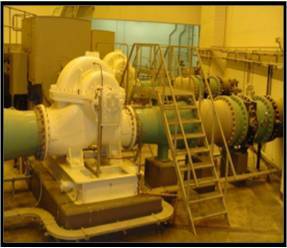 Permanent control and communication facilities and corrosion protection measures were provided throughout the Project. This phase of the Man-made River Project was implemented in a very difficult environment. The pipeline routes through highlands, mountains, valleys and rocky lands and all these have been accommodated during the design stage. All anticipated problems were considered in the design stage where safe, secure and cost-effective methods were adopted to achieve the design service life specified. 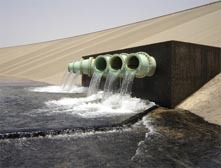 The Al Gardabiya-Assdada System, Phase III of the Man-made River Project (MMRP), is designed to connect the Phase I System to the Phase II System allowing 0.98 million cubic metres per day of water to be transferred between the two systems in either direction. The water flows through pre-stressed concrete cylinder pipe of 4 metre. This System includes large pump stations at Al Gardabiya and Assdada with a capacity of 31 megawatts protected by Surge Vessels. The Capacity of the regulating tank at Wadi Wishkah is 82,000 cubic metre. A permanent control and communication system is also provided throughout the Project. The Ghadames-Zwara-Azzawiyah Water System, Phase IV of the Man-made River Project (MRP), is designed to supply 250,000 cubic metres of water per day from wellfields at Ghadames to the Zwara City in the coast. The total number of wells are 106 deep tube water supply wells. The overall length of the conveyance pipelines is approximately 620 km of 1.6 metre diameter pipe. There are three main line pump stations (PS1, PS2 and PS3) each with 20,000 m3 forebay tank. A further pump station (PS4) is installed on the Haraba branch line with a 70,000 m3 regulating tank. This System also includes three reservoirs of total capacity of 60,000 cubic metres. 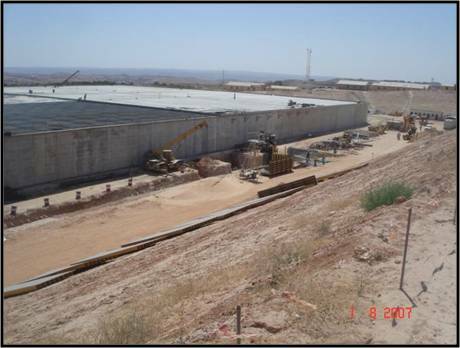 At Nalut there is a flow control station with a 70,000 m3 tank and at Azrair a pressure control station. Permanent control and communication facilities including SCADA are provided throughout the Project. There are four main Operation Support and Maintenance facilities (OS&M) provided which include living and infrastructure facilities. 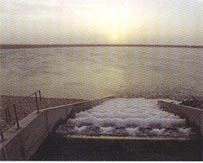 This is a circular rock fill embankment reservoir of 24 million cubic metres capacity located to the south of Benghazi with a water depth of 27 metre and diameter of 1164 metre. The total amount of excavation at the floor and the body of the reservoir is 8,100,000 cubic meters and the filling of the reservoir is 5,500,000 cubic meters. The asphaltic lining has a surface area of 2,240,000 square meters. 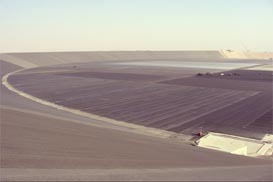 This is a circular rock fill embankment reservoir of (15.4) million cubic metres capacity located near Sirt with a water depth of 16 metre and diameter of 1180 metre. The total amount of concrete used for the reservoir is 25,000 cubic meters. 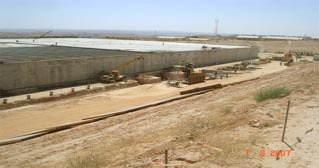 The Tarhunah-Abu Ziyyan Project (TAZ) is designed to supply 800,000 thousand cubic metres of water per day from the regulating tank at Tarhunah to the 300,000m3 concrete Abu Ziyyan storage reservoir. 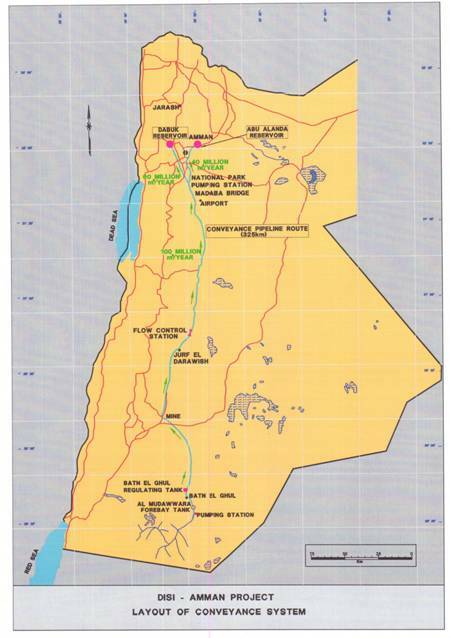 The Project includes conveyance of 1.6m to 2.8m diameter prestressed concrete cylinder pipe (PCCP) with an overall length of 106 km terminating in a steel pipeline connection rise of 500m to the top of the escarpment. There are also two pump stations, break pressure tank and 6 major turnouts. 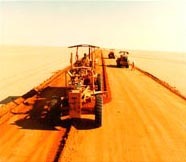 The Al Kufra Wellfield-Tazerbo-Ajdabiya Water Supply Project (Kufra Scheme) is a major scheme will provide an additional 1.68 million cubic metres per day (MCMD) of water supply into the Man-made River Project (MMRP) and increase the hydraulic capacity of the existing conveyance systems in order to convey this additional flow. 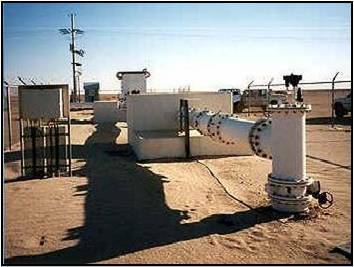 The Kufra System includes a new wellfield, lift pump station, major operations support and maintenance facility (OS&M), 380km of conveyance pipeline and associated structures, and seven booster pump stations on the existing conveyance pipelines. ANE is the Consultant Engineer for the construction of 5 concrete agricultural water storage tanks, including pipework and valve chambers being constructed for the Man-made River Water Utilisation Authority (MMRWUA) to the south of Tripoli. Each tank has a capacity of 86,000 cubic metres. A further 4 No. tanks (for a total of 9) will be included in the final Contract scope. ANE’s scope includes review and approval of Contractor engineering/designs and procurement and construction submittals, supervision at site of the construction works executed by Contractors and the testing and commissioning of the completed works. The two Projects combined include some 260kms of ductile iron distribution piping ranging in diameter from 1200mm to 90mm and a further 79km of uPVC pipelines with diameters of 90-180mm, 40 concrete storage tanks and a fibre optic control system. 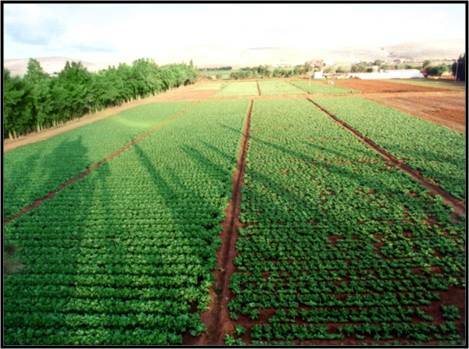 ANE has been awarded the Construction Supervision Services Contracts for these Projects by the Client, MMRWUA. ANE’s scope includes the review and approval on behalf of the Client of Contractor designs, procurement and construction submittals and the supervision of the construction works by the Contractor. In addition to engineering review and construction supervision the services by ANE also include Contract Management Services, Project Management Quality Control, Management of Materials and Equipment Procurement by the Contractor, Testing and Operation and Maintenance and Training of the Client’s personnel. 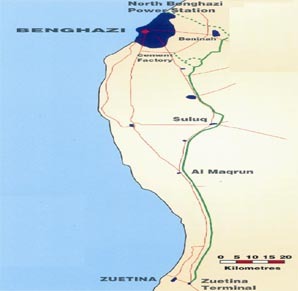 ANE had been engaged by MMRA as the Consultant Engineer for the new conveyance pipeline to be constructed between Ajdabiya and an existing reservoir at Tobruk. The conveyance comprises of 1.6m diameter direct buried prestressed concrete cylinder pipe (PCCP) with a length of 335 kilometres, the design flow is 137,000 cubic metres per day. The system will include a lift pump station and forebay tank at Ajdabiya and a regulating tank at the high point at Al Afarit. ANE is responsible for the detail design of the Project including selection of the conveyance route, survey of the route and associated facilities, geotechnical investigation and reporting. The Disi-Mudawwara to Amman water conveyance is designed to alleviate the chronic shortage of water in Amman, Jordan by conveying 100 million cubic metres of water per year from 55 wells in the Disi aquifer in the south of Jordan adjacent to the Saudi Arabian border through a 1600mm diameter steel conveyance pipeline 325 km to new and existing reservoirs in Amman. 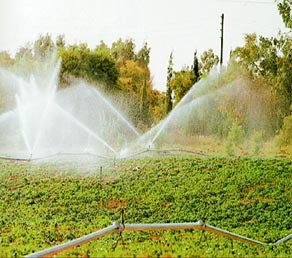 The company's re-design and optimisation of the system has resulted in considerable saving in capital cost ( approximately 100 million dollars) to the Client (The Ministry of Water and Irrigation - Jordan) by a reduction in major structures, optimisation of the conveyance route, reduction in scope from two separate wellfields to one wellfield and other significant savings. Engineering Consultancy services were provided to the Client through all pre-contract stages of the project, which was awarded to a contractor on a Build, Operate and Transfer (BOT) basis. 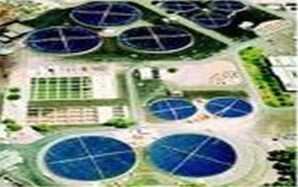 The Company has provided engineering consultancy services to the Client for the provision of supplying water to several cities and locations. The Company's scope of work includes collecting and evaluating data and the preparation of engineering studies for preliminary and detailed design. The projects covered water supply to many locations and cities around Libya. 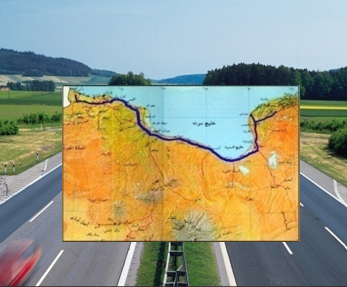 This includes gathering Project-related information and drawings, an inspection of the highway route to define the terrain and types and allocation of industrial, structural and residential facilities, plantations, farms and services located along the route. This includes the detail survey along the entire Highway either by photogrammetric survey or by ground survey, preparation of traffic count studies, review of available geological and geotechnical investigation reports, development of geotechnical design parameters for embankments and foundation soil for structures, preparation of plan and profile drawings showing the proposed horizontal and vertical alignment with an emergency lane, preparation of typical sections and pavement designs, preparation of preliminary drawings for culverts, bridges, inter-sections, interchanges and traffic safety features. d, the elevations of the road and its structural works, interchanges, bridges, protection measures, culverts, drainage, signage and road markings. • Preparation of all drawings showing the location of quarries, usable lands and the source of water supply points required for road construction. • Final detailed calculations for hydrological and geological study. • Structural details for culverts, retaining walls and bridges. • Technical reports and specifications of the entire road and Bill of Quantities for each section of the Highway. • Detailed designs for service areas, parking areas, toll plazas and emergency facilities. • The final design and bidding documents including Quantities and technical specifications for issue to pre-qualified bidders.